Contact Mark Bruno or Jeff Davi with the Monterey Peninsula Home Team to see if this property is still available and to set up an appointment to view it (831) 313-2289. 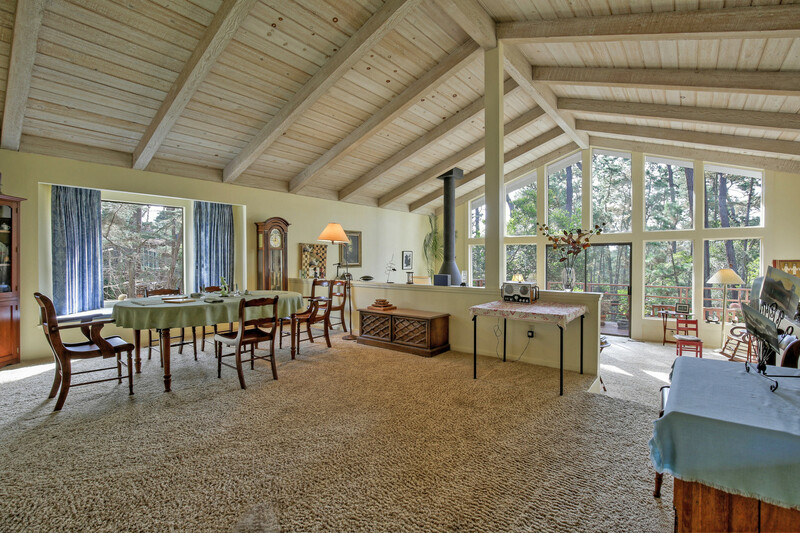 You are going to love this classic Pebble Beach home for sale located on a quiet street in the Upper part of the Pebble Beach Forest. First time on the market since 1975, this comfortably sized 3-bedroom, 3 bath home has a lot to offer its new owner. 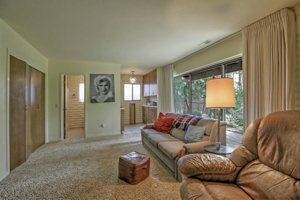 The main level of the home has a spacious living room with 15-foot open-beamed ceilings, a fireplace, and floor to ceiling windows looking out on the Monterey Pines of enchanting Del Monte Forest. There is a nice sized deck accessed through sliding glass doors. The dining area is huge with a large window seat. 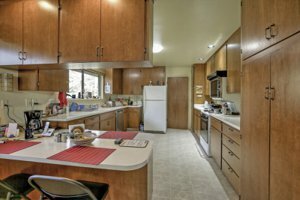 The kitchen has tons of counter space and cabinets plus an eat-in counter/breakfast nook. Also on the main level is the master bedroom and bath. Both private and spacious. Finally, the main level also has a laundry room. When you approach the lower level of this Pebble Beach home, you will notice an oversized hallway leading to two more nice sized bedrooms and a hall bathroom. At the end of the hall is a family room or if you prefer, a guest suite. The guest suite has a small kitchenette and a full bathroom. Other unique features of 4080 Los Altos Drive in Pebble Beach is the circle driveway that passes through a large carport. In addition, there is a 2-car garage. Pebble Beach's Upper Forest Neighborhood is located at the top of Huckleberry Hill and is the easternmost neighborhood in Pebble Beach. The Upper Forest is located to the north and slightly west of the Hwy 1 Gate into Pebble Beach and gets the most sunshine of all of Pebble Beach due to the coastal fog burning off here first. This neighborhood is known for its scenic views of the Pacific Ocean, Monterey Bay, Point Lobos, and Carmel Bay. There is some amazing ocean view real estate in this neighborhood due to its unique vantage point. 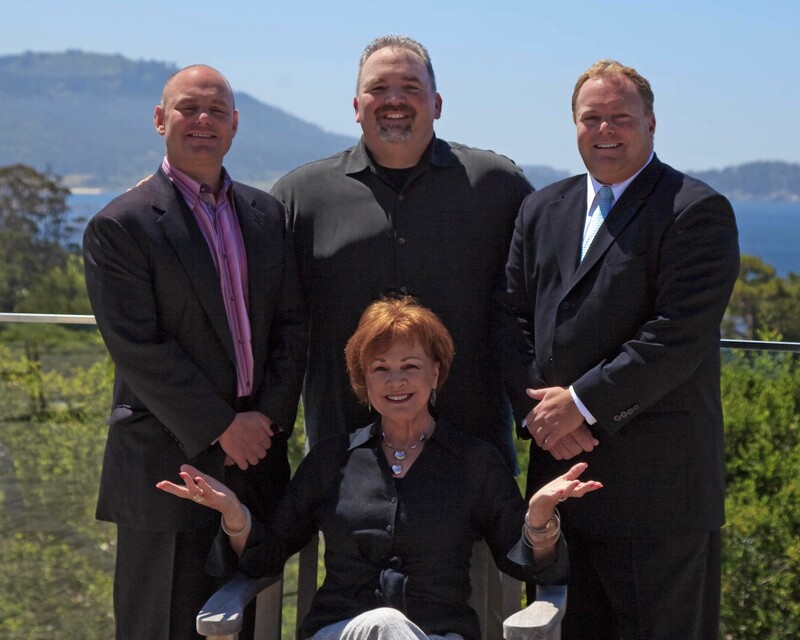 Read more about Pebble Beach’s Upper Forest Neighborhood. Contact us about buying a home or selling your home.